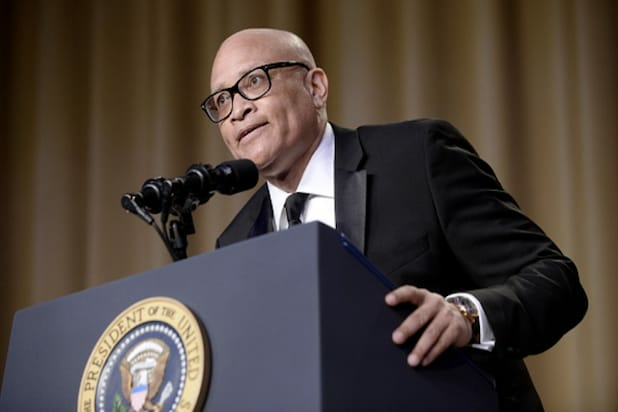 White House press secretary Josh Earnest said today that President Obama “appreciated the spirit” of Larry Wilmore’s “expressions” used at the White House Correspondents’ Dinner, despite controversy over Wilmore’s use of the N-word. “Mr. President, if I’m going to keep it 100: ‘Yo, Barry, you did it, my n—-. You did it,” the “Nightly Show” host said to wrap up his comedy performance Saturday night. “I’m confident that Mr. Wilmore used the word by design. He was seeking to be provocative,” Earnest said when asked of the president’s reaction. The closing line wasn’t the only time Wilmore touched on race, also joking that Fox News would describe the event as “two thugs” interrupting an elegant dinner. Earnest said he did not believe Wilmore’s jokes would have a negative impact on the president nor open the door for his critics to use similar language. “I don’t think I’m gonna spend much time worrying about it,” Earnest said.